For over thirty years, Harlan Estate has been committed to creating a California "First Growth" wine estate. 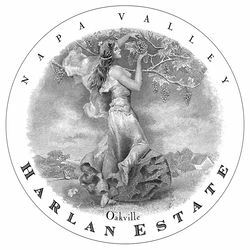 Founded in 1984, Harlan Estate is a winegrowing estate in the western hills of Oakville, California – in the heart of the Napa Valley. Consisting of 240 acres (97 ha) of natural splendor set above the fabled Oakville benchlands, the property rises in elevation from 225 to 1225 feet (68 to 374 m) above sea level, roughly fifteen percent of which are under vine, planted to the classic varietals: Cabernet Sauvignon, Merlot, Cabernet Franc and Petit Verdot. More than that, it is a family homestead; a place of great inspiration, carved from the raw land, built for generations. To join the wine club, visit www.harlanestate.com or call 707-944-1441. Winery-direct sales, pre-release by subscription.